What Book Got The Stars Hooked? Before they were famous, they were reading under the covers with flashlights like the rest of us, and now, stars are sharing their love of reading with us through the What Got You Hooked? campaign. What Book Got You Hooked is an initiative of First Book, a charity whose mission is to give children from low-income families the opportunity to read and own their first new books. The online campaign highlights the importance of books in the lives of children – especially for those in need. From now through September 15, visitors to the First Book Web site are asked to share their memory of the first book that made reading fun, then help get more children hooked by voting for the state to receive a special donation of 50,000 new books for children in need. Oklahoma was last year’s campaign winner with over 34,000 votes in its favor. Visitors are also invited to make a $10 donation, to help provide four brand new books for a child in need. 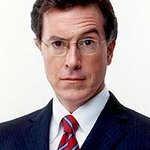 So far, the campaign has generated celebrity support from an eclectic mix of stars including Stephen Colbert, Emma Thompson, Edward Norton, Scarlett Johansson, David Duchovny, Neil Patrick Harris, John Krasinski, Rebecca Romijn, Barry Manilow, Ira Glass, John Hodgman, Bow Wow, Patti LaBelle, and many more. Each celebrity has given the charity information on what their favorite books were when they were younger, and their choices can be found at the organization’s website. First Book was founded in 1992. The First Book model was developed to leverage the work of local heroes who reach children through existing literacy programs in a variety of settings, such as Head Start centers, libraries, soup kitchens, churches, housing projects, and afterschool initiatives. Working through this vast network of organizations, First Book plays a critical role in transforming the quality of preschool and after-school programs nationwide. To find out more about First Book, or to donate books, visit www.firstbook.org.